There were cheers, tears and beer, in a bar in Beijing, where some 80 people gathered around two TVs and one projection screen. 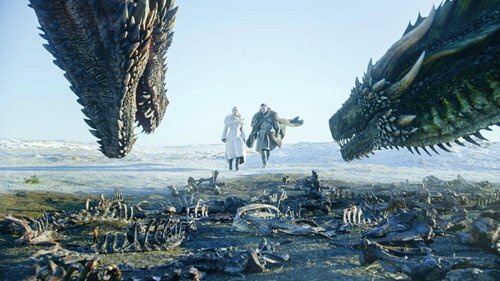 People from China, the US, France, India, Ireland, Pakistan, and other countries were all watching the latest season of Home Box Office's (HBO) Game of Thrones (GOT). "Pop music is easier to popularize while gufeng music is easier to appreciate and relish," 23-year-old graduate at Beijing University of Technology surnamed Zhou told the Global Times. A delegation headed by Karmenu Vella, the EU Commissioner of the Environment, Maritime Affairs and Fisheries, visited China from April 1 to 3 to deepen China-EU environmental bilateral relations. China contributed to a massive quarter of UK visas issued globally last year, according to the latest quarterly report on immigration statistics published by UK's Home Office. She described her feelings as being very complicated: sad, disappointed, regretful, angry, and hard to let it go.